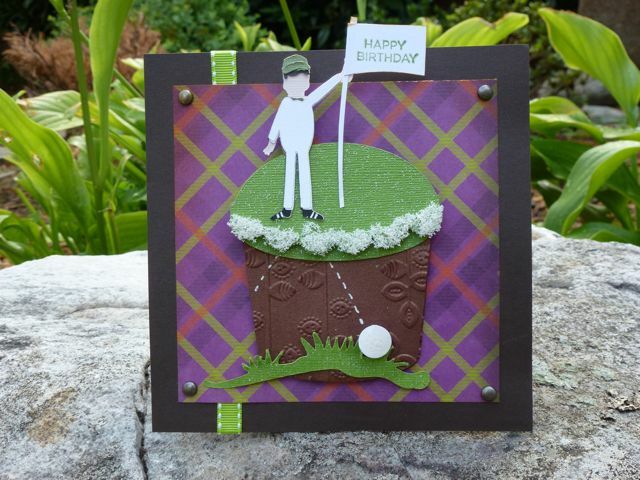 This is a birthday card for my darling dad; he loves golf, plaid, and us. I couldn’t decide between a cake or golf theme, so I combined the two into one. The cupcake comes from Everyday Pop Up Cards, and the “caddy” aka milk man is from Pop Up Neighborhood. 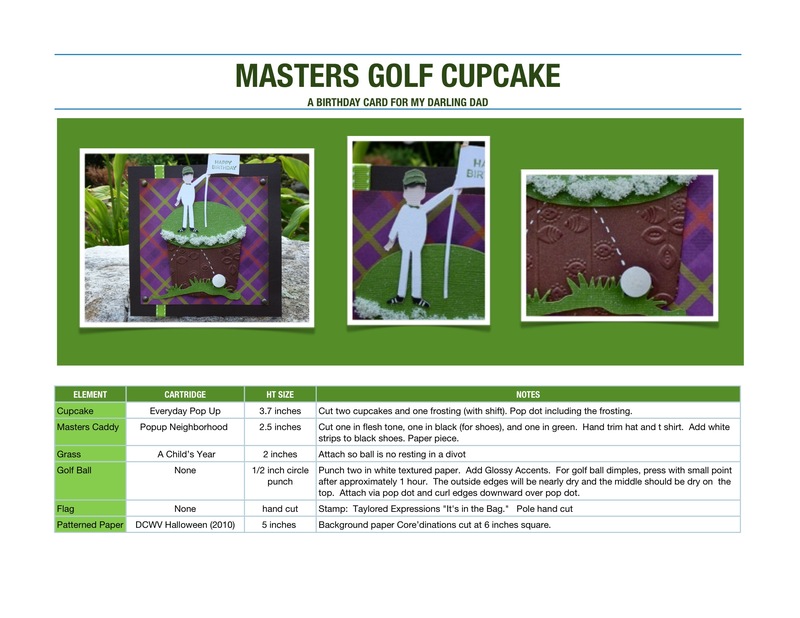 I left off the squiggle of frosting and instead added Flower Soft for “sand traps.” The caddy is based on what caddies wear during the Masters (worked best with the milk man cut). I hand trimmed his hat into a ball cap and added stripes to his shoes. He doesn’t come this way SOC (straight out of the cartridge) but with some scissors, a Uniball Signo white Pen, and multiple cuts (black, green, and flesh toned) he comes to life. I love your use of the milkman! Your dad had to just adore this. Awesome concept and follow-through! And I LOVE your new details format! How cool is that!! LOL, he’s gonna love it! Great card :D. I’m really impressed by your details format too!